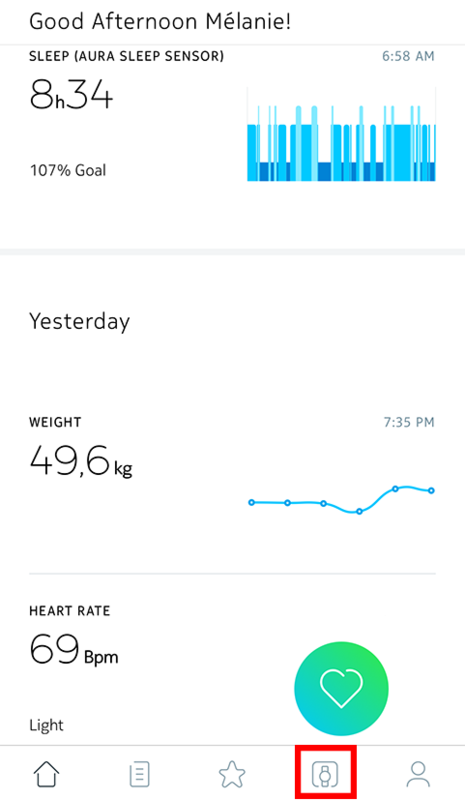 Make sure that your Steel HR appears in Devices in the Health Mate app. Select Devices in the Health Mate app and make sure that your Steel HR is connected. If not, try to turn off Bluetooth on your mobile device and then turn it back on. Make sure the activity hand of your Steel HR moves. If it never moves when you walk, it may be an issue with the accelerometer. In this case, reach out to Customer Service by clicking the Contact Us button at the bottom of the page. You'll know that the connection with your Steel HR has been established when you can access the alarm selection screen. To accommodate most users, our algorithm works best with breaststroke and crawl. Also, swim detection has been calibrated in 25 meters and 50 meters-wide pools. As such, your swim data may not be accurate if you swim in a smaller pool. Click here to see the list of activities detected by your Steel HR / Steel HR Sport.